The Stryker 655HP has been designed keeping in mind exceptional performance. It’s a two-way radio made for excellent transmit and receive quality along with considerable reliability. The Stryker radio also shows justice to the line of Stryker radios by offering best in the class features that enhance the overall experience of the user. If you are interested in a top notch 10-meter radio with the finest send and receive capabilities in its class, this jusfiable price range amateur radio is your best bet. 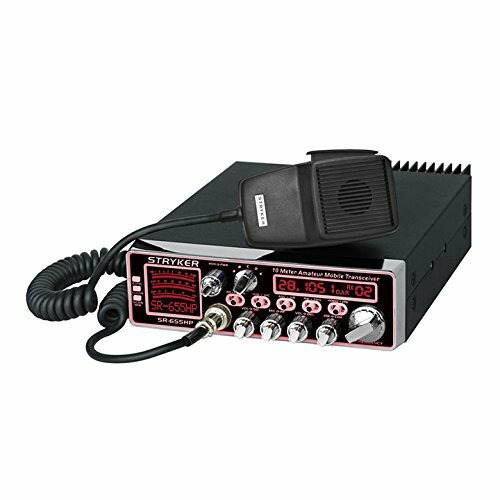 Remember: This is one of the best CB radio you can get for your small SUVs and cars. Make sure you get the dimension right before purchasing this CB radio. It’s not that big and not meant for big rigs. I have seen many customers complaining about its size. 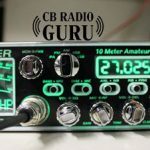 If you’re a CB professional who’s looking for a high-performance CB radio, then this is your product. 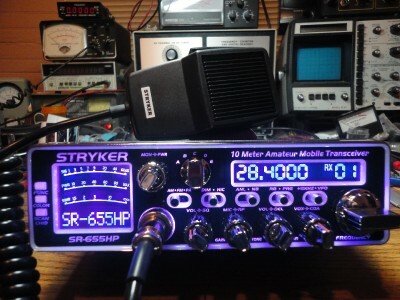 Stryker SR 655HP makes for a powerful 10-meter radio with a slew of functions. It has got outstanding AM audio and stable high-performance SSB operation. The radio is highly customizable through the onboard controls and a PC connection. 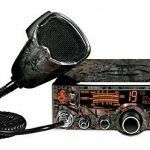 The 655 Model Stryker CB radio works great and the transmission and receiving are top notches. For someone new to the CB world, you may not be able to just plug and play the device as you think, you will have to convert it using tech to include CB channels. The conversion of the radio is simple and sounds great out of the box, though the mic of the radio has been perceived to be of poor quality compared to the overall quality of other components. A Ranger/Wilson mic could be paired with the radio to take care of the quality of stock mic. The radio is very loud and is loaded with a lot of features and has been lauded to be the best amateur radio by many users. You might need to convert the device for around $40 to be used in the big truck. Out of the box the radio peaks at 10w carrier and about 80w swing which is very respectable. You would also not miss the fact that this radio is sturdy inbuilt and looks great as soon as you take this one out of the packing. There are lots of bells and whistles on the device which let you chose different bands such as AM/FM and more. The good variety of colors that show up in the backlit LED faceplate gives it a nice touch. The radio comes with a 32 position dimmer circuit with the lowest position turning lights all the off. For someone whose eyes are sensitive to certain lights in the dark, this is a must-have feature. The clarifier on this radio lets you move the frequency up or down very quickly and is much better than a clarifier typically found on an AM/FM radio. The output from this radio is solid, crisp and clear. Thanks to the clarifier it has. It produces the human voice with little or no distortion providing maximum clarity and enjoyment. The up-armored receiver works even under the harshest conditions and ensures smooth functioning of the radio. For more info, you can find the manual here. 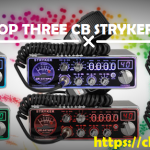 The long array of features is the first thing you’ll love about the CB radio. Along with its supreme performance, any professional will enjoy using this CB. 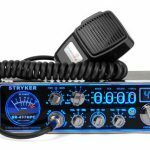 The Stryker 655-HP presents a strong case for a CB radio that is one of the best for serious CB users. 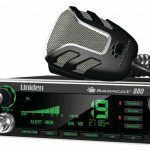 The excellent transmit and receive quality and the reliability of the set are worth mentioning and the radio ticks all the right boxes when it comes to utility and usability. 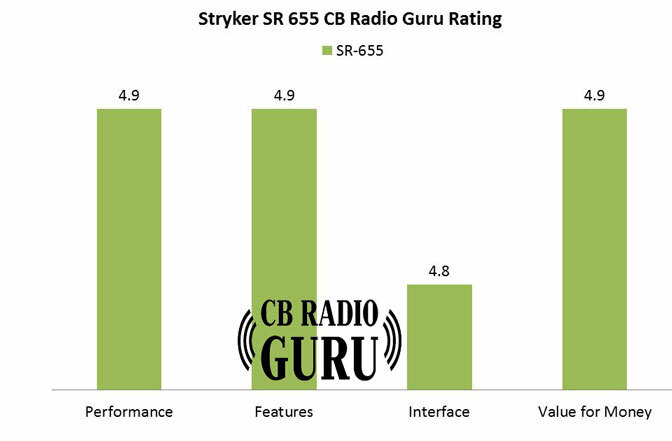 If you are in the market for a high quality 10-meter radio that talks great and wouldn’t burn your pocket, the Stryker SR-655HP is the right pick for you.